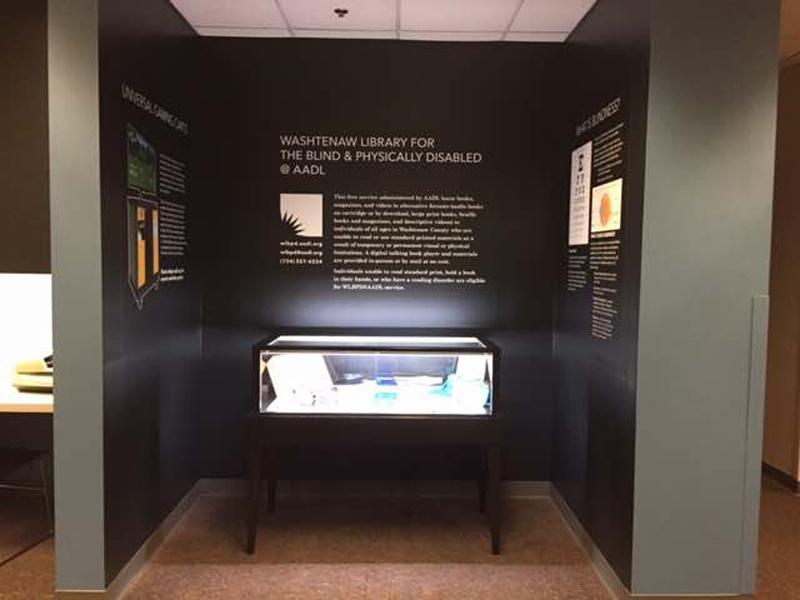 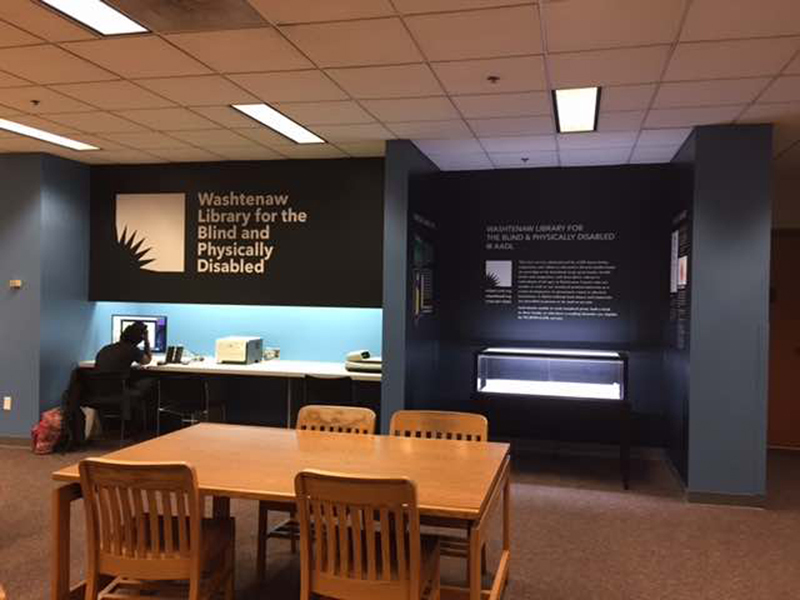 The Ann Arbor District Library set up a permanent display alcove with information about the Washtenaw Library for the Blind & Physically Disabled. 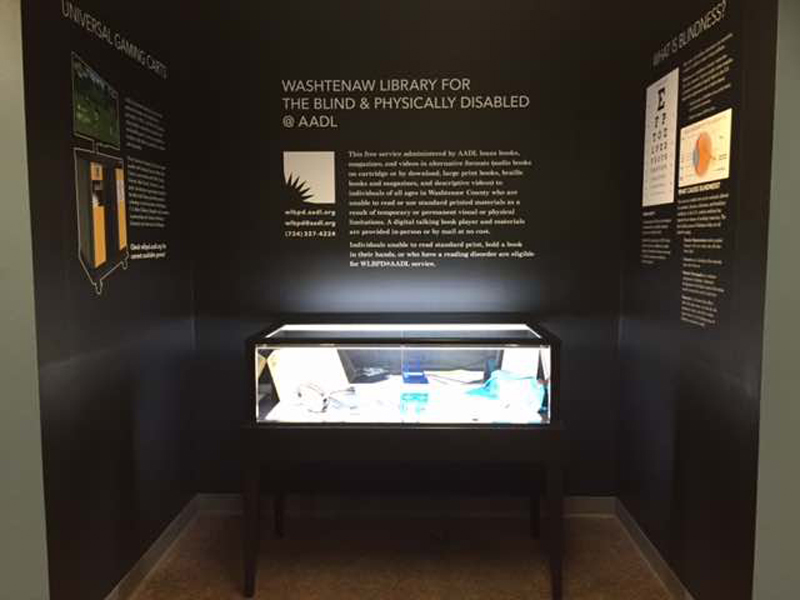 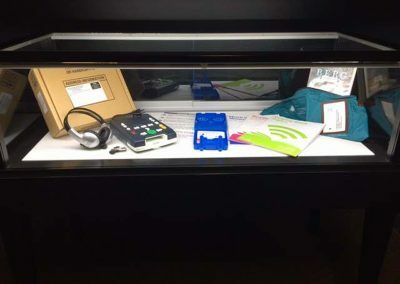 They asked us to build a display case to exhibit new high tech equipment from the library available for the blind & physically disabled. 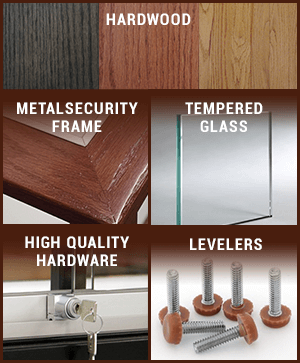 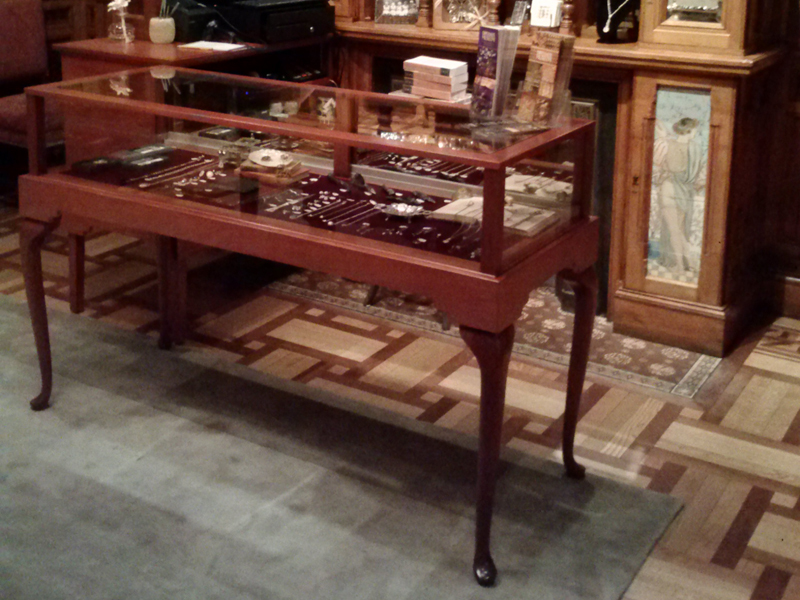 The Jewelry Vision “Plus” display case is 48” wide x 22” deep x 40” high with sliding tempered glass doors. 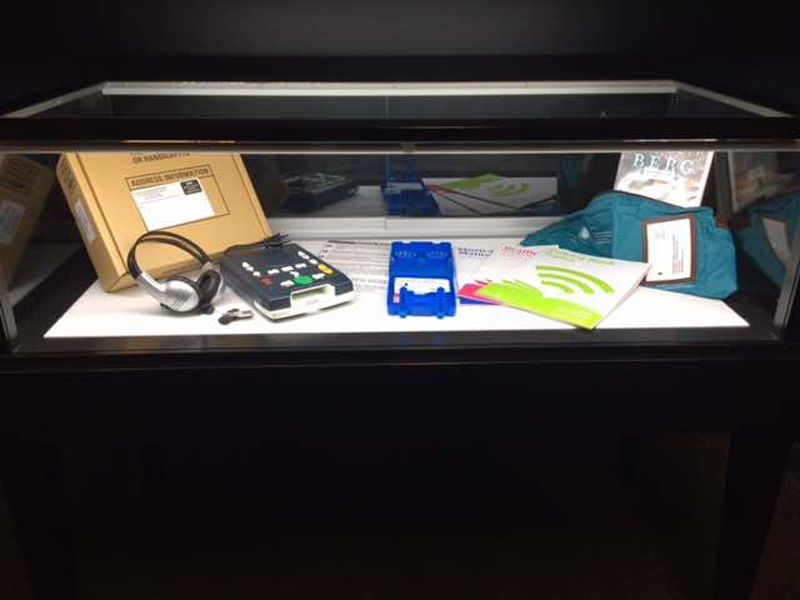 The glass height of the cases is 12” high. 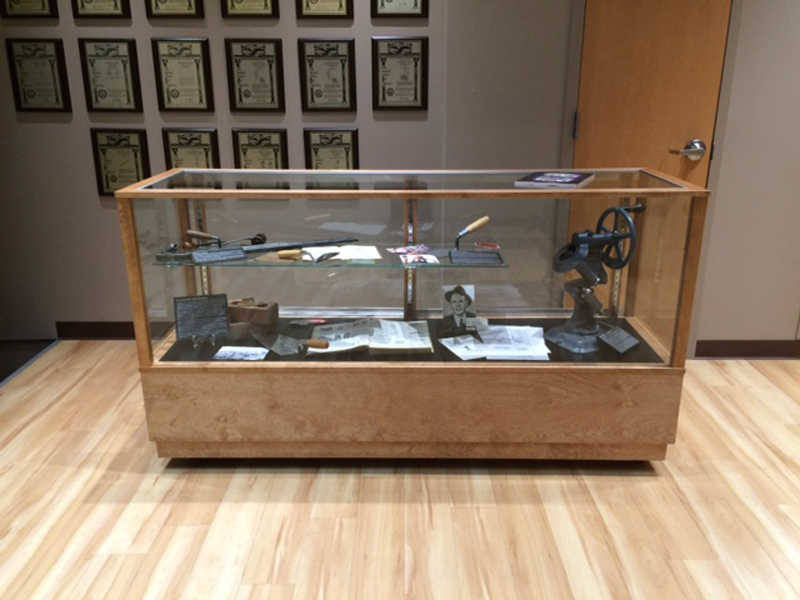 The case was built from solid hardwood with a black satin lacquer finish. 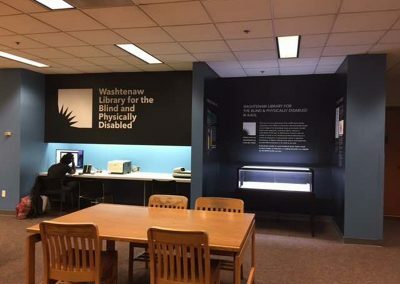 The deck where the items are displayed is covered with a white fabric. 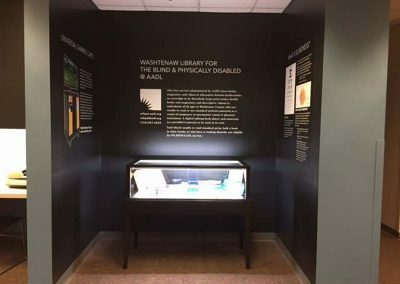 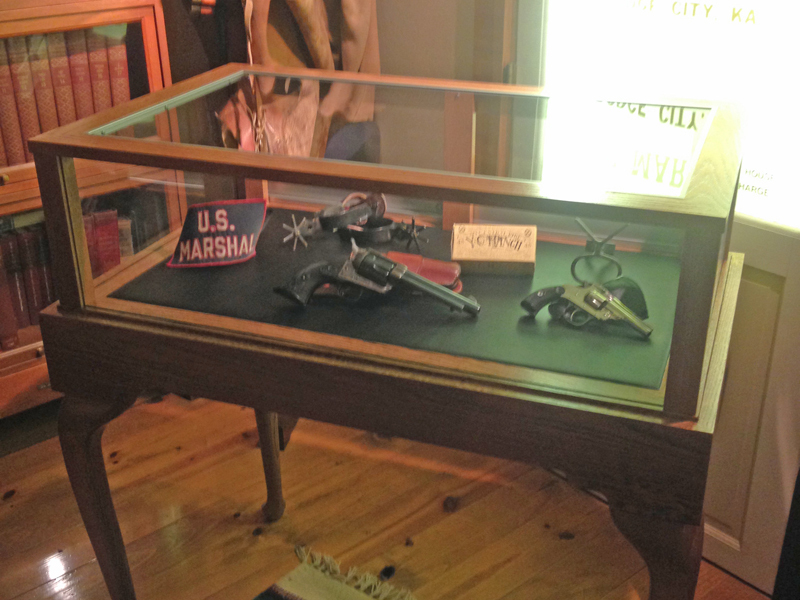 An LED bar light illuminated the display case.